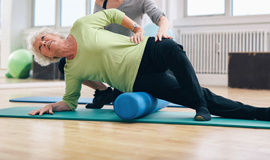 Our sports/orthopedic massage is specifically designed for our highly active athletes. We understand the high impact that sports can produce on a body, and this can mean a future of reoccurring injury, scar tissue and chronic pain. With our targeted sports massage, we help you to enhance your performance and prolong your athletic career by limiting scar tissue, preventing injury and reducing swelling which, in turn, helps to relax you, increase your flexibility and improve your recovery times. A form of bodywork that works to relieve tension in the deeper layers of tissue in your body, deep tissue massage is a highly effective method for releasing chronic stress areas due to misalignment, repetitive motion, and lingering injuries. Due to the nature of deep tissue work, open communication during the session is crucial to make sure you aren’t in pain. Soreness is common after the treatment, and you should drink plenty of water post-massage so that you can help your body to flush out toxins that have been released from your deep tissue during the session. Pregnancy is a time in which a woman’s body endures tremendous stress due to dramatic physical, mental and emotional changes. However, it is also a time when extra care should be taken with the body. 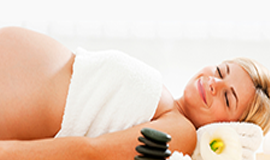 Using various techniques designed specifically for the pregnant body, our pregnancy massage helps to alleviate discomfort, promote relaxation, improve breathing, reduce joint pain and provide relief from any digestive issues, all while keeping you and your child safe and comfortable. Designed to be therapeutic, Swedish massage is one of the most relaxing types of massage therapy. By combining oils or lotions with an array of strokes such as rolling, kneading, and percussion, it helps the body to improve circulation while also providing relief form aches and pain, decreased stress levels, enhanced mental clarity, improved appearance, and greater flexibility. Contact us today and get the massage therapy you’ve been waiting for.